I led the effort to build out robust analytics and business intelligence capabilities at Borderfree, a leading international ecommerce company, as a technical, hands-on manager, leader, and solution architect for client-facing multi-tenant reporting solution. 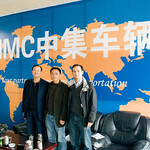 Xin Tian You (XTY) was founded by industry veterans with the vision to transform the Chinese transportation industry. China has 26M truckers, approximately 12M trucks (85% individually owned/operated), and hundreds of thousands of information brokers. Shipping and truck information market is highly fragmented, inefficient, and lacks transparency; return-trip logistics is problematic and costly. XTY created a mobile app that puts shipment info at truckers’ fingertips, helping them reduce costs and wait time for finding return-trip cargo. I traveled to Beijing to meet truckers and brokers first-hand, and working alongside my Chinese colleagues, redesigned their e-commerce website, developed and localized marketing collateral, and identified strategic risks and mitigations. I am currently helping XTY refine its marketing and business strategy. Spearheaded technology work stream of China market entry strategy for large U.S. health plan, resulting in $200K project extension to refine target state IT operating model. Led financial analysis work stream for cost transformation project of leading home healthcare provider, identifying 15% in SG&A savings over 3 years. Article published (International Journal of Speech Technology,	Volume 4, Numbers 3-4 / July, 2001. (Preview article at SpringerLink) and patent issued for work related to research project while at Bell Labs. Abstract. Domain experts frequently know what questions they want to ask about a data set, but they do not necessarily know the mechanisms of using an information visualization (infoVis) system for investigating these inquiries of interest. In our work, we are researching the addition of a natural language (NL) interface for bridging this gap between NL questions and data exploration within an infoVis environment. In this paper, we present our approach to integrating an NL interface into an existing infoVis system.We illustrate the power of combining direct manipulation with NL interfaces, and we provide a real-life example of applying our approach to the analysis of a large, complex data set. The Workshop in Business Opportunities began in 1966 in response to the absence of economic power in the African-American community. The founders, a Midtown marketing consultant and a Harlem attorney, felt that economic, political and social equality could be achieved most quickly and effectively by training and assisting minorities to build growing prosperous businesses. The founders recruited a volunteer faculty of twenty-four business owners from their friends and clients, each one a specialist in one or more aspects of running a successful business, to conduct the classes. WIBO continues to offer its first sixteen-week workshop, How to Build a Growing Profitable Business, throughout NYC. I led the Personal Finance workshop session in the spring of 2010, and look forward to volunteering again in the near future. Started in 2004 by John Moore and Alexa du Pont, Cents Ability follows a workshop format to teach financial literacy to teens and young adults in the New York City area. Cents Ability obtained its 501(c)3 nonprofit status in May 2004. Since then classes have been taught at The Door, the Union Settlement Association, Monroe Academy, Washington Irving High School, The Chinatown Manpower Project, SCAN La Guardia, Harlem RBI, The Albert G. Oliver Program, and the John V. Lindsay Wildcat Academy Charter school. I was involved with Cents Ability early on, as a founding member of the organization, and helped with marketing and teaching efforts. I developed a data acquisition and analysis application suite for Cornell University Medical College’s Biophysics/Physiology Lab. Lab research focuses on structure-function studies on ion channels, molecular determinants of peptide folding, and lipid bilayer-protein interactions. Chan2000 first acquires and digitizes voltage signals from patch clamp experiments using National Instruments data acquisition instruments. Next, channel openings and closings (identified by step-function changes in current) are automatically identified given experiment parameters. Finally, channel lifetime values and histograms are generated. Chan2000 can perform (and analyze) both constant-voltage and voltage-ramping experiments in real-time. Chan2000 has been actively used by the laboratory for the past decade.